Seawater samples from both Tillamook Bay and Gold Beach in Oregon were found to contain trace amounts of Cesium-134, according to reports from the Woods Hole Oceanographic Institution. The institution’s chemical oceanographer, Ken Buesseler, has been tracking the radiation plume in a crowdfunded effort “to monitor the ongoing spread of radiation across the Pacific and its evolving impacts on the ocean,” the project’s website states. “Despite concerns, there is no US government agency monitoring the spread of low levels of radiation from Fukushima along the West Coast and around the Hawaiian Islands—even though levels are expected to rise over coming years,” the website details. In both the US and Canada, researchers have claimed that levels are low enough that Cesium-124 is not a threat to humans or the environment, the Statesman Journal reported. Three reactors at the Fukushima nuclear power plant melted down on March 11, 2011, after being struck by a tsunami that hit the northeast coast of Japan, following a devastating earthquake. The incident led to the leakage of radioactive material from the plant into the surrounding environment. 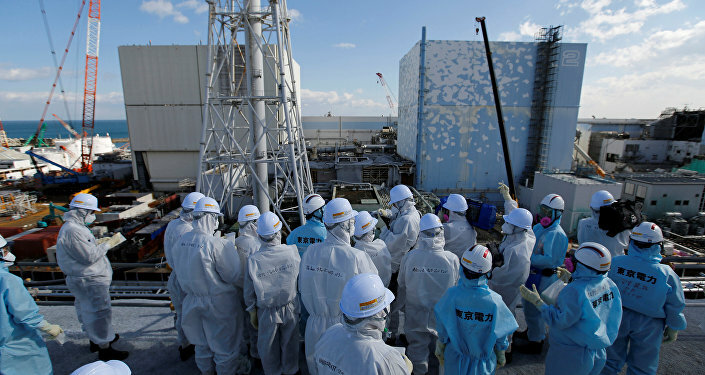 Reportedly the largest nuclear disaster since the Chernobyl catastrophe in 1986, it is expected that it will take approximately 40 years to clean up the surrounding area. Recently, it was announced that Japan and Russia would team up to study the effect of radiation on the DNA of future generations. They are aiming to help prevent the effects of nuclear catastrophes being indefinitely passed genetically from one generation to the next.